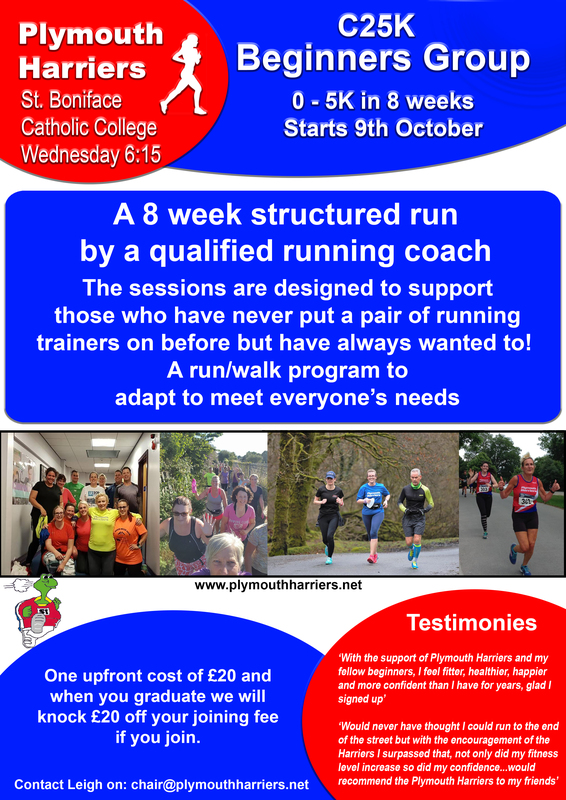 Plymouth Harriers Running Club welcomes runners of all abilities and levels of experience. Originally established as Keyham Plodders in 1983, the club has had it's current name since 1996. We have qualified coaches and leaders who can help you achieve your running goals, whether a first time runner or someone wishing to target a specific race time or distance. With the opportunity to run 4 times a week there is something to suit everyone. As a member, all of the organised run sessions are free after a one-off joining fee. Plymouth Harriers is affiliated to both UK Athletics and the British Triathlon Club meaning members receive a discount on race entries. If you would like to know more, please use the contact page to get in touch. Speed intervals for all standard of runner. Meet at Brickfields carpark, session is from 1830-1930. Plymouth Harriers is a member of the Armada Athletics Network. This session is for member clubs and is coached by qualified coaches/leaders. Club night with groups running varying distances from 3 to 6 miles and with various pace groups available. 1830-2000. Showers and changing available, with tea/coffee post-run. for run details. Meet at 0800. C25K Beginners group 0 - 5K in 8 weeks starts 20th March 2019.